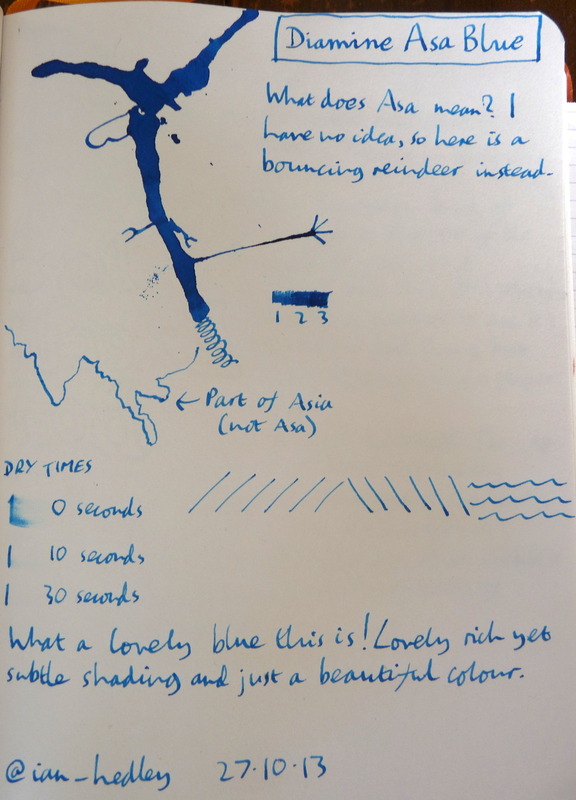 Diamine Asa Blue ink review – Pens! Paper! Pencils! There is certainly a part of me that wishes Diamine would just make one or two lovely blue inks and call it a day. The part of me that wishes that is the part that is connected to my dwindling bank account. (Actually, dwindled, not dwindling.) The rest of me is very glad of so many beautiful shades. Asa Blue is yet another beautiful blue ink. It’s a rich deep colour with just enough shading to give it some life.